Call us at 860-242-0497 or email us to schedule a consultation with an Abbey Aesthetics medical provider. We are a laser and cosmetic medical practice focused on providing state-of-the-art, non-invasive and minimally-invasive treatments. We were the first to offer the Titan™ Procedure, Smartlipo TriPlex™, Cellulaze™, PrecisionTX™ (Sidelaze™), Excel V Skin Therapy, Laser Tattoo Removal with Enlighten™ and truSculpt® 3D in the Greater Hartford area and the first to offer non-surgical Vaginal Rejuvenation with Juliet™ in Connecticut. Although we have what we believe is the best laser and light-based aesthetic systems available in the market today, we believe the skill and experience of the practitioner is more important than the technology used. Our procedures are based on the latest developments and techniques, and we have developed proprietary protocols based on our extensive experience. We also offer a physician-supervised weight loss program. We use the Optifast® Program (Nestle Health Science) which is an approach only available through hospitals or physician practices. Our prices are competitive with medspas, laser centers, and other medical practices. 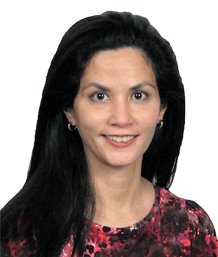 Our Medical Director, Barbara Padilla, MD, is a Board Certified Internist. She is a member of the National Society of Cosmetic Physicians and the American Society for Laser Medicine and Surgery. Dr. Padilla has been practicing medicine in the Greater Hartford Area for over 20 years. Her philosophy is to work with her patients so they can be as healthy and youthful as possible — inside and out. As such, her medical practice is focused on wellness and prevention. For example, she develops a customized health plan annually for each internal medicine patient which takes their risk factors into account. For more on Dr. Padilla’s internal medicine practice please visit www.BarbaraPadillaMD.com. Click here for a full photo tour of our clinic, or click to view the images below. We offer appointments Monday to Friday from 9:00 am – 5:00 pm. Cancellations must be made at least 24 hours in advance of your appointment. Our location is easily accessible.